Professionals love the K2 because it makes proper positioning of clients and patients easy. Clients love the K2 because it feels sooooooo good! This section, Part IV, uses the K2 to perform some well-known Pilates exercises but with the assistance of the K2. 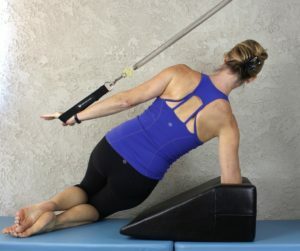 Try these and see just how much your spine can do! Now we’re really moving! The elongation and ease the K2 lends to movement is going to make this a patient and client favorite.